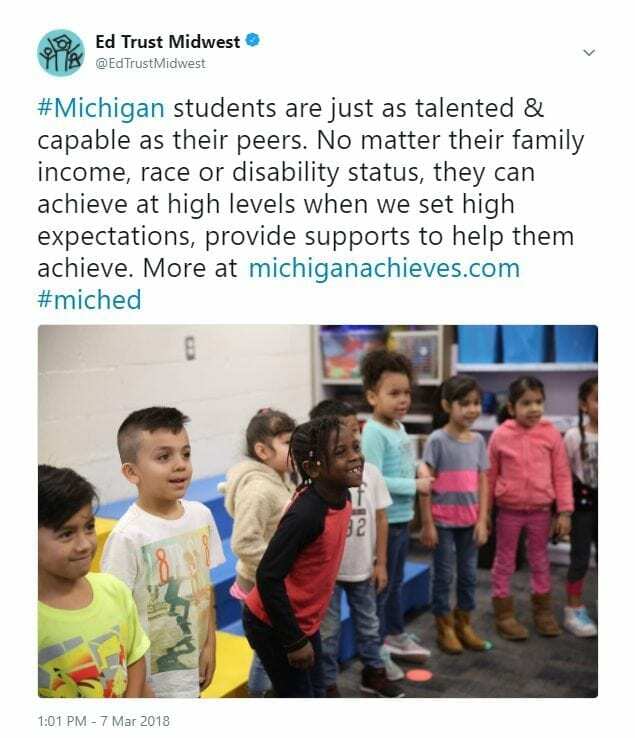 A focused effort to improve student achievement in high-poverty public schools in Michigan has shown clear gains in the last three years, according to a report published March 6. The project, which relies on strategies that have been shown to work in leading education states, is a collaboration among Grand Rapids Public Schools, Wyoming Public Schools and Kelloggsville Public Schools with the Center for Excellence in Teaching and Learning, a program of the Education Trust-Midwest. With support from the Steelcase Foundation, CETL is working with the schools and their districts to support the efforts of principals and teachers to bolster student achievement and lead improvement initiatives in their schools. 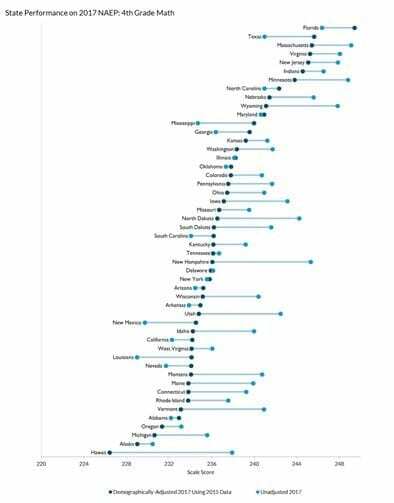 Promising early data show these schools have become among the fastest improving high-poverty schools in Michigan for subjects like third-grade reading. 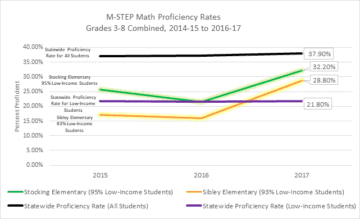 In math, GRPS elementary schools Stocking and Sibley are not only among the top-improving buildings in their district, but also among all schools in Michigan. 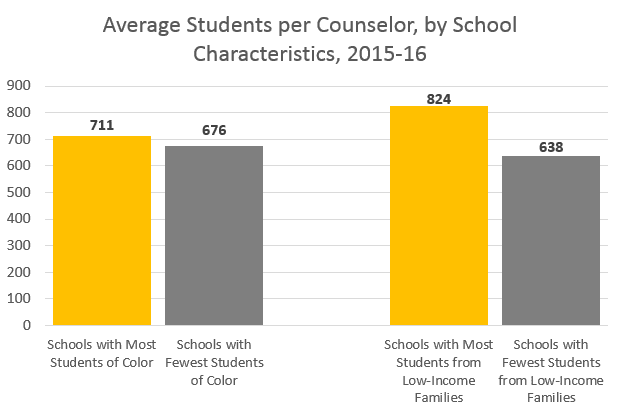 At Stocking, the school’s Latino students are performing above statewide proficiency levels for fifth-grade math compared not only to Latino students statewide, but to all students, regardless of race, statewide. 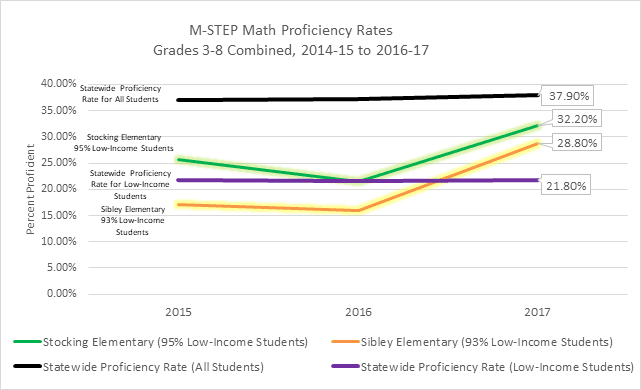 In 2016-17, reading proficiency rates at Sibley Elementary for low-income third graders outpaced Kent Intermediate School District, other Grand Rapids Public Schools, and statewide proficiency levels; the school now ranks among the highest-improving elementary schools statewide in third-grade reading. Parkview Elementary, in the Wyoming district, ranks among the highest-improving, high-poverty schools in Michigan for subjects such as third grade reading and math. 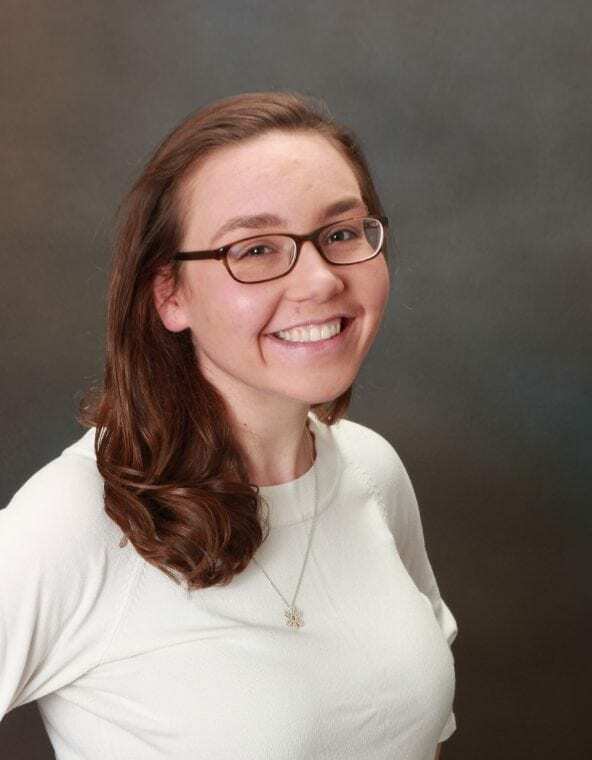 As part of our ongoing series on Women’s History Month, Flint teacher, Carrie Mattern, contributed her thoughts on how she is making history through her students. The excerpt below is from her full blog post. I was heading into my fifteenth year as a high school English teacher, but my dad knew ‘the job’ was taking a toll on me, especially after being out for extended leave with my fourth baby. “You don’t have to save the world, ya know,” he finished, heading back to check on the hamburgers and hotdogs. “Sure I do,” I muttered to myself. So what did I do? I decided to teach empathy. To high school students. We researched, wrote letters, wrote professional emails and tweets, thank you cards and sympathy cards. We read about situations not so dissimilar to our own… I had chosen to teach students instead of preach at them. I had chosen to use real life scenarios in the classroom and discuss relevant topics instead of passing out worksheets. I had chosen to teach the child, not the subject. And regardless of where they stand, I know I want to go down as the teacher who was not only on their side, but on the right side when history is written. The House Workforce and Talent Development Committee meets today at 9:00am in Room 326 of the House Office Building. The agenda will include a discussion of House Bill 4106 (LaFave – R) which seeks to require academic credit for internships under certain circumstances and HB 5676 (Iden – R) which seeks to expand the definition of “membership” for appropriations to school aid to include pupils engaging in internships and work experiences. The House School Aid and Education Appropriation Subcommittee will be today at 10:30am in Room 352 of the State Capitol Building. The agenda will include presentations on The Marshall Plan and Technology Regional Data Hubs. The Senate Education Committee will meet today at noon in Room 1300 of the Binsfeld Building. The agenda includes a discussion of Senate Bill 795(Knollenberg – R) which seeks to modify the retirement allowance for public school employees, SB 796 (Knollenberg – R) which prohibits public employer contracts that pay union officials for time conducting union business and SB 889 (Knollenberg – R) which eliminates the basic skills exam from the requirements for teacher certification. The Senate K-12 School Aid and Education Appropriation Subcommittee will meet on Wednesday, March 14 at 8:00am. The agenda will include presentations by: the Department of Education on Data Hubs; MiSTEM Council; Lighthouses Academy; Imagine Learning and the Children’s Leadership Council. The Michigan State Board of Education will meet at 9:30am on March 14, 2018 in the Ladislaus B. Dombrowski Board Room of the John A. Hannah Building, Lansing. The Senate Higher Education Committee will meet on Thursday, March 15 at 1:45pm in the Senate Hearing Room to hear testimony from Michigan State University. Next week the Education Trust-Midwest, Business Leaders for Michigan, the Center for Michigan and many other organizations will come together for a Solutions Summit. The first event will be held in Detroit on Thursday, March 22, 2018 in Detroit and the second in Grand Rapids on Friday, March 23, 2018. 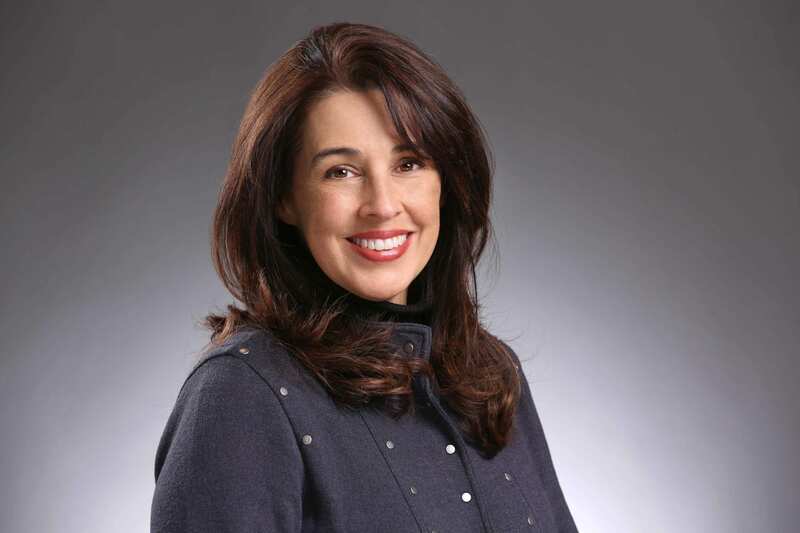 At each event, Ed Trust-Midwest’s executive director, Amber Arellano, will join other notable education experts in a discussion on what’s being done to address Michigan’s education crisis. Click here for more information and to reserve your seat.